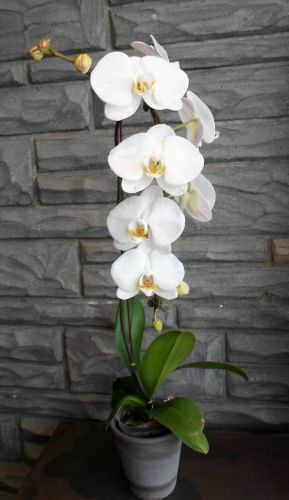 A classic orchid plant makes a room elegant rather than ordinary. Long lasting and easy to care for, and well dressed. Locally grown. Available in white or mauve.